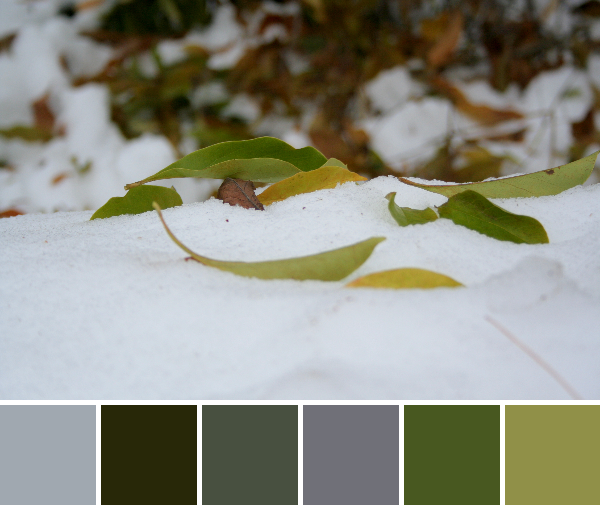 It’s too early for these snowy palettes, I know. Tell that to Mother Nature in Maine. 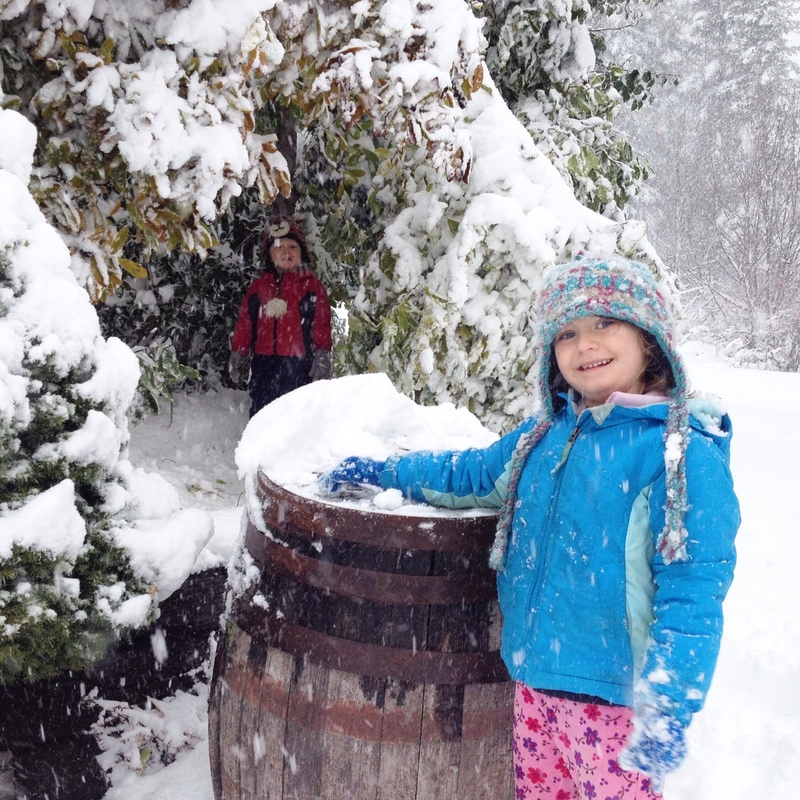 Last weekend we got buried by nearly 18″ of wet, heavy snow. 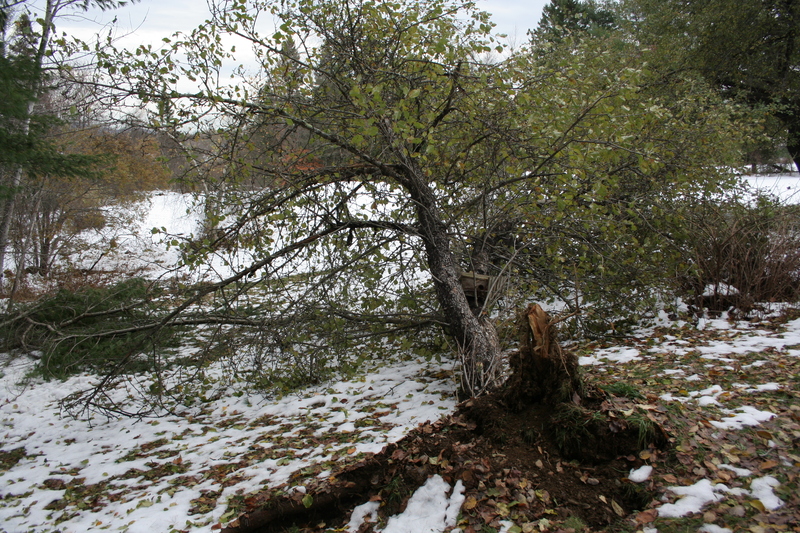 Many trees still had their leaves, so the heavy snow put much of the state out of power from fallen trees and downed power lines. We were without power for just over three days, and life kind of had to slow down during that time (obviously!). I certainly didn’t do any blogging, and did just a bit of hand-sewing and knitting between keeping the wood boiler stocked, the generator running smoothly, reading stories by candlelight, and otherwise entertaining the kids. We are the fortunate ones; many homes in my town and the surrounding towns are still without power, five days later. At our house, snow downed an entire apple tree, a few big branches from another apple tree, and snapped quite a few branches of my favorite magnolia trees in our front garden. 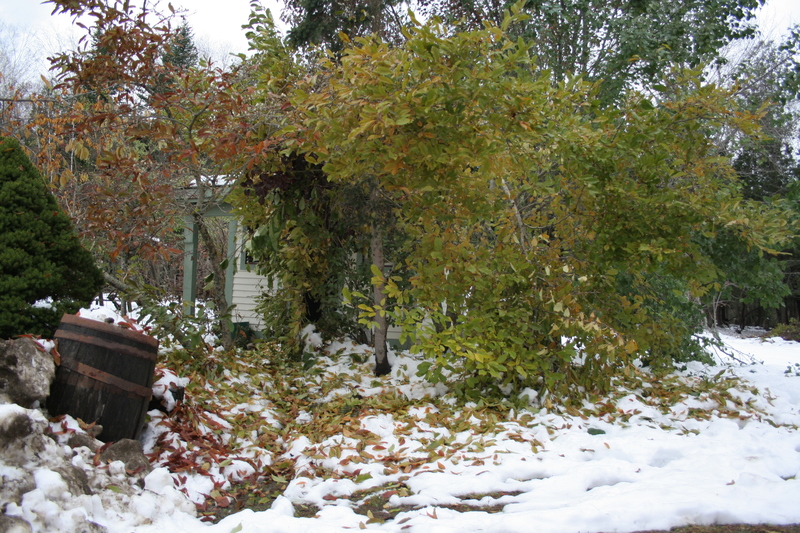 Our chicken coop outdoor run was completely smashed, and many other tree limbs are down. I certainly have some yard maintenance damage-control ahead of me, and I think I’ll be wielding a handsaw (or a chainsaw if I’m lucky enough to find a neighbor or friend to lend me one and give me lessons) more than a sewing machine the next few weeks. But still, Color Inspiration Thursday must go on! 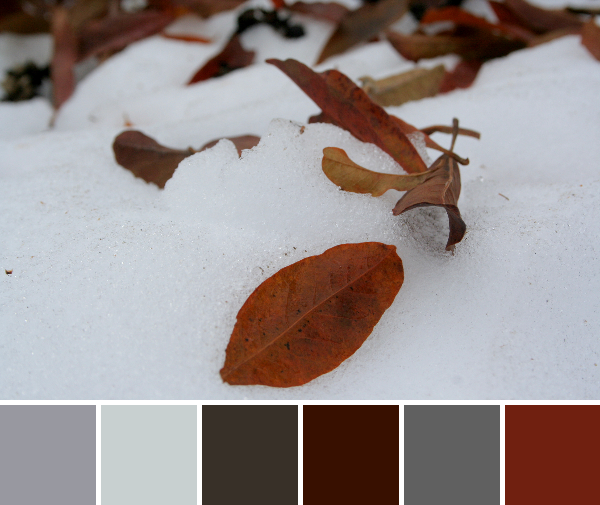 So here, your unseasonably early, autumn, snowy color palettes for today, created with Play Crafts Palette Builder 2.1 and my photographs. I really like this gentle, earthy color palette. It’s such a simple photograph: prematurely fallen leaves on a mountain of snow, but the greens make a strong showing, balanced nicely by the greys and dark brown. 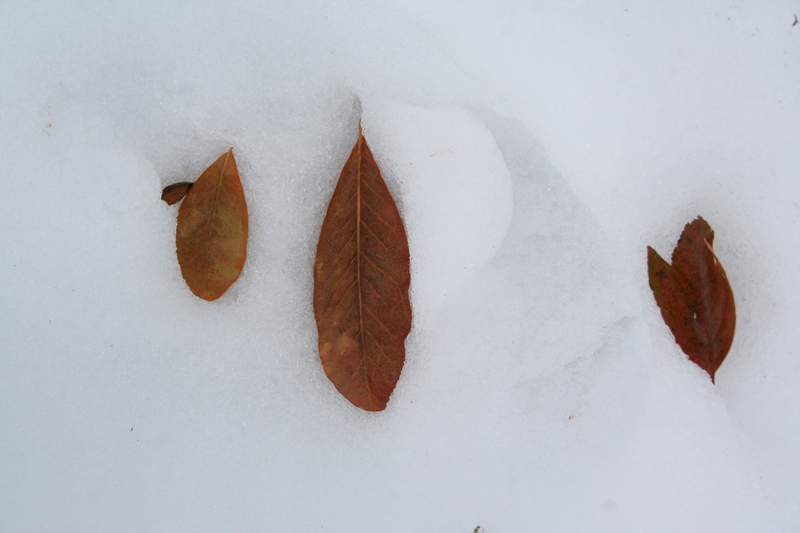 Even after getting completely pounded by the snow, the leaves dance daintily on the snow. These red and orange leaves are particular favorites of mine, although the palette reads heavily in the greys and browns, with just that splash of Kona Paprika. I love the Aurifil names for these colors, too: Dove, Medium Bark, Chocolate–what’s not to like about chocolate!? I definitely would use this palette for a lap quilt for my living room. Don’t worry; we did enjoy the snow, too. 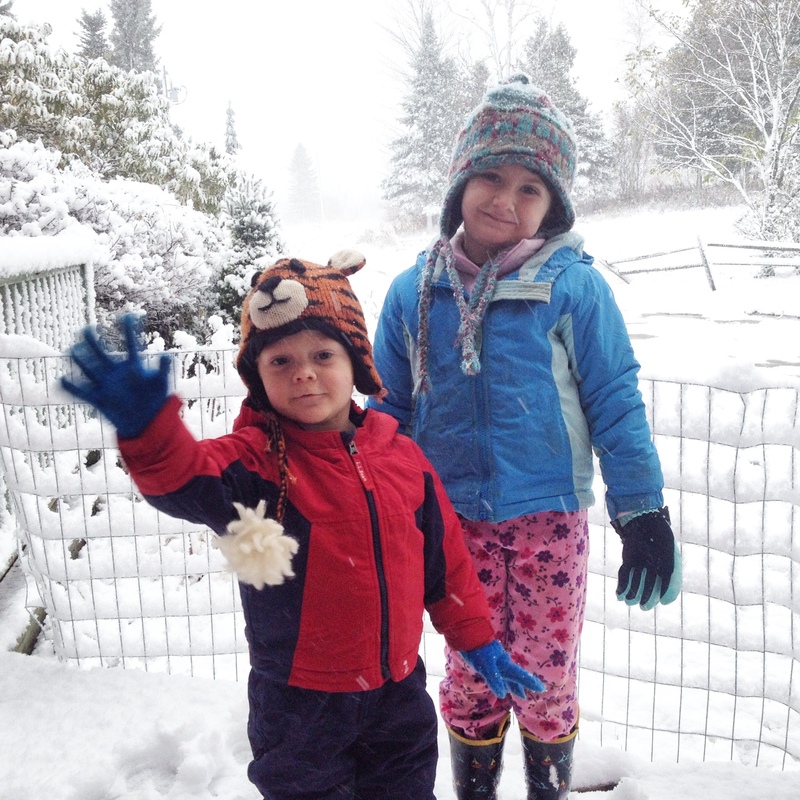 My children enjoyed playing in the snow. Here they are, mid-storm, making the most of it! Round two. The snow continued to come down, and trees began to droop. I wish I had thought of knocking snow off branches at this point! Morning has broken. The morning after the storm. No power, day two. 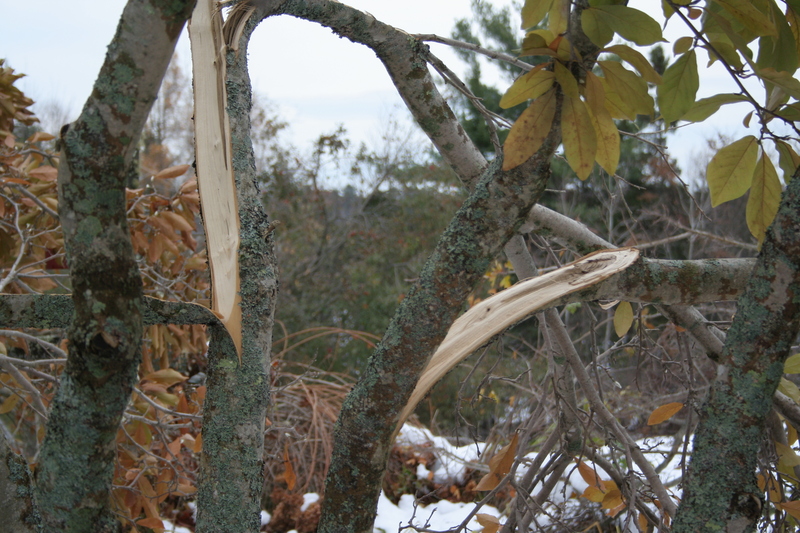 My poor snapped magnolia branches. There are many more like these two. The absolute mess that is our chicken coop. There used to be a few nice trees and a lovely path up to the coop. 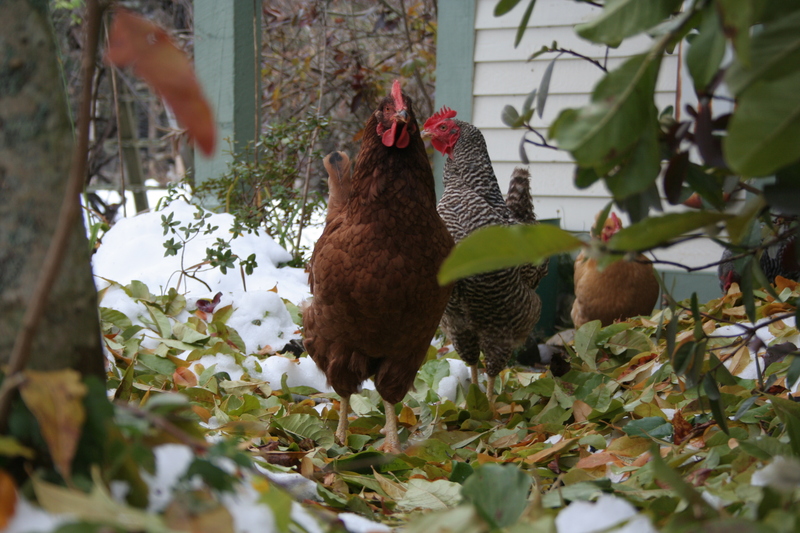 The chickens, three days after the storm, are finally beginning to venture down their leaf-strewn, snowy path. 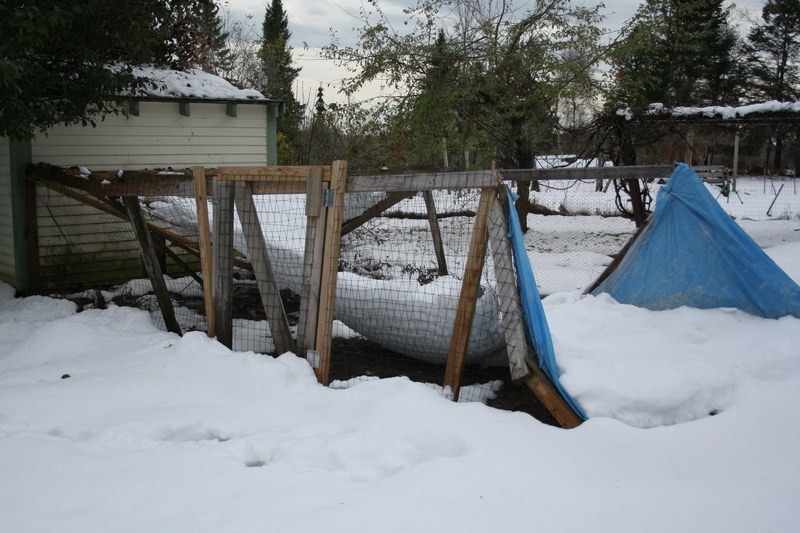 I honestly thought I did a good job building this chicken run, but the heavy snow and drooping branches (no longer visible) took out it completely. 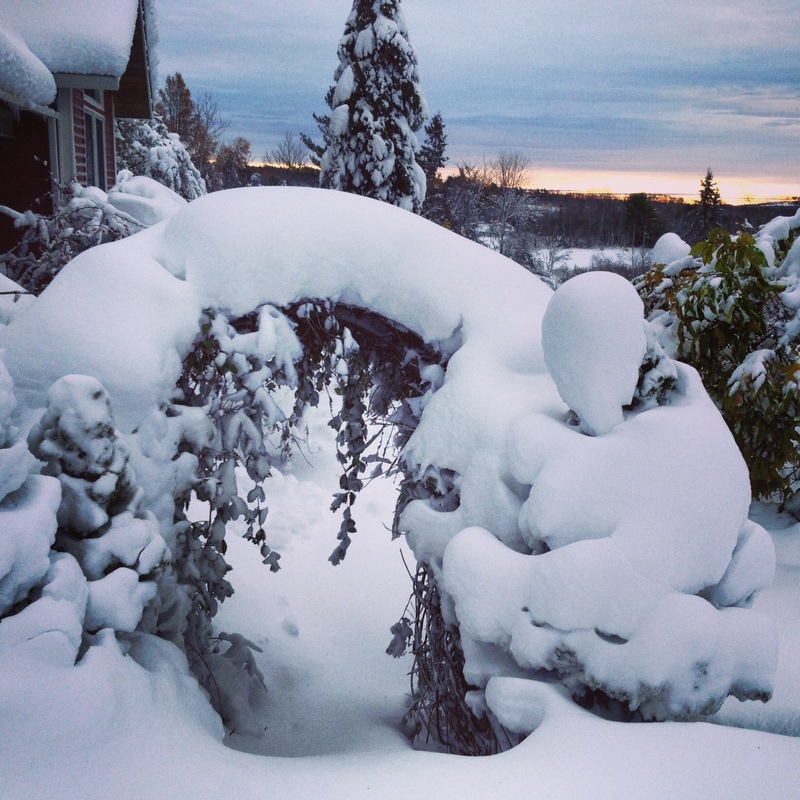 Lots of snow, lots of destruction, but still beauty abounds. Kitty, the photos are lovely, the wintery scenes are so soothing and calm to look at, but I am sure the destruction was not. btw, those children of yours look beautiful and happy.